China is the second-largest economy by GDP and the second-largest equity market by market value, but the weight of China in global equity benchmarks is relatively small. 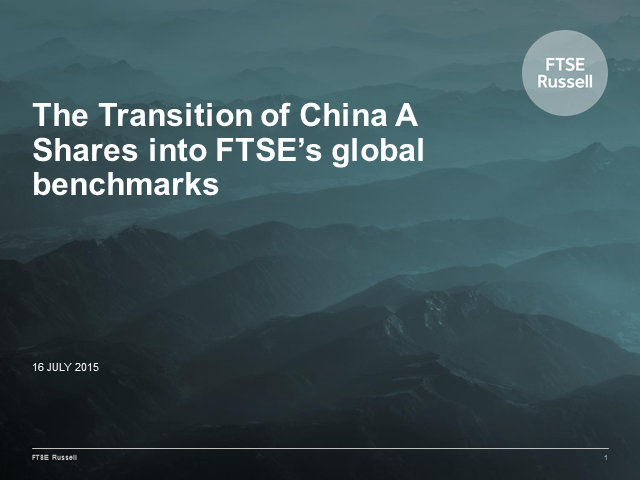 As China continues to take steps to open its market to international investors, FTSE Russell announced the start of its transition to include China A Shares in its widely followed global benchmarks with the launch of new FTSE Emerging Markets China A Inclusion indexes recently. FTSE Russell’s new inclusion indexes provide market participants with the choice and flexibility in indexes they need to be able to respond to the changes and start their transition.